Apple hasn't exactly paid a ton of attention to Mac OS X since the iPhone came out. There, I said it. This was obvious even in the lead-up to Leopard in 2007, when Apple delayed that OS's release from a spring timeframe to October so that they could get the iPhone out the door. Since then, we've gotten Snow Leopard (a "no new features" release that did a lot to optimize the platform at the expense of aging PowerPC Macs) and a long string of point updates that have done plenty to polish the OS but not much to advance it. Using OS X today is fundamentally much the same as it was four years ago, though we're doing it on hardware that's four years faster. Lion, originally unveiled in October of 2010, is Apple's attempt to get "back to the Mac," which when translated from Apple into English means that the company wanted to port some ideas and some functionality from iOS into OS X, which parallels iOS's journey from a touch-driven iPod interface to an increasingly OS X-flavored standalone OS. With Lion, Apple wants to do for its Mac software what it did for its Mac hardware with the MacBook Air - bring concepts people like in tablets to full-featured computers. One of our goals with a Lion review, then, is to separate the actual useful features from the fluff - what has OS X borrowed from iOS, and does it really improve and make sense for the platform? What functionality feels grafted-on, and what feels like it's been missing from the platform for years? Another important goal will be to determine the direction in which Lion moves the platform, because new OS X releases tend to be messages just as much as operating systems: Leopard, with its two-and-a-half-year development cycle, told people that OS X's fast-paced, sometimes chaotic early phase was officially over. Snow Leopard told PowerPC users to get with the times or get off the train (or, to put it positively, that Intel was the future and that developers needed to take fuller advantage of the architecture's strengths). So what is Lion trying to tell us? Read on and find out. Thank you for a very timely and useful review of FileVault 2. The following microblog conversation links to an overview (work in progress) with some unanswered questions. Comments will be greatly appreciated. And it is a big problem! The removal of Expose and Rosetta are big reasons not to "upgrade" for me both now and for the foreseeable future. A lot of other things are clunky or ugly or annoying (like the inability to control scrolling speed in System Preferences) ... but those are minor reasons not to "upgrade". "I don't know a single person who is not an Apple employee or stock owner who claims to really like Lion ... come to think of it I haven't yet met an employee who really likes it, so it is pretty much stock owners who are saying it is an upgrade-without-quotation-marks. Although a lot of employees do genuine like the full-screen mode." I am a work-study at a college and we recently bought a bunch of IMACS to make an IMAC Labs for all the students. We also have a few for the staff. 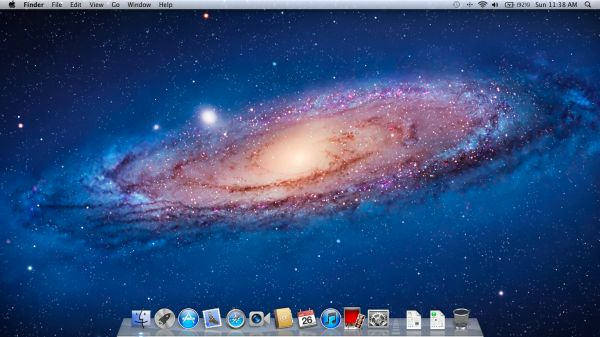 We had Snow Leopard installed initially and we were able to connect perfectly fine to all of the servers within our network,however since our implementation of lion the servers don't show up under the shared tab in the finder automatically like before. The computers on the network show up but not the servers. Anyone have any ideas as to why? I figured it has something to do with samba not being implemented as it was in Snow Leopard? Is there any easy way to change a setting? Or do I have to manually add each server to each computer?